Kinder Morgan is overestimating the benefits of this project and underestimating the true risks to our planet. 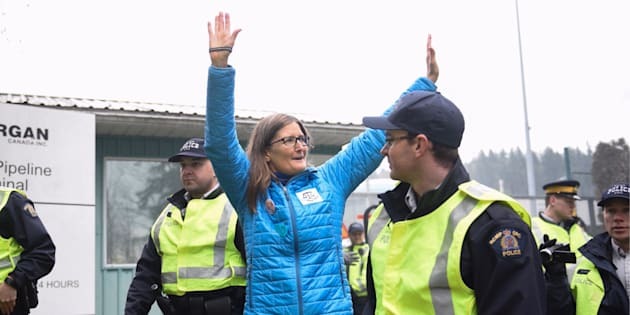 Environmental engineer Romilly Cavanaugh is arrested at a protest against Kinder Morgan's expansion of its Trans Mountain pipeline in Burnaby, B.C. on March 20, 2018. On March 20, I was arrested protesting the expansion of Kinder Morgan's Trans Mountain pipeline that will greatly increase the amount of oil transported from Alberta's tar sands to the west coast of Canada. I've never been arrested before. I haven't even considered it. This was not a decision I took lightly. I now face possible jail time, but I believe strongly that this pipeline expansion should not proceed. I believe this even though I used to work for Trans Mountain as an environmental engineer. When I worked on the pipeline, my responsibilities included cleaning up spills and preparing applications for project approvals through the National Energy Board (NEB). This experience lets me counter statements from the oil industry about the permitting process, and their ability to contain a large spill into the marine environment. I worked for Trans Mountain in the 1990s, and at that time, the industry considered recovery of 10 to 20 per cent of a marine spill to be a successful outcome. Some will say that oil spill equipment has improved since then, but we need only look at the impacts of the Deepwater Horizon accident in 2010 to realize that current oil spill technology is grossly inadequate at containing a major marine spill. That accident resulted in extensive damage to the Gulf of Mexico's environment, as well as US$5.9 billion in economic losses. The ocean is a moving target. Pipeline companies in Canada are required to prepare for spills and they spend significant amounts of money training their staff and purchasing what is referred to as "state-of-the-art" oil spill equipment. But the ocean is a moving target. Currents, wind and waves can spread oil over vast areas before a company even has a chance to deploy their equipment. Spills are contained using booms that float on the surface of the water, and can only control the oil if it stays in one place. Heavy oil, like the diluted bitumen that the Trans Mountain pipeline transports, can sink to the sea floor. There is no equipment in the world that can prevent this from happening. Protesters demonstrate against Kinder Morgan's planned expansion of its Trans Mountain pipeline in Burnaby, B.C. In fact, Kinder Morgan can't say for sure whether diluted bitumen would float or sink if it spilled into the Pacific Ocean. When it was spilled into the Kalamazoo River in Michigan, fouling 40 kilometres of that waterway, a substantial portion of it sank. In recent laboratory tests, it floated. Environmental conditions and other factors affect the fate of oil once it is released. B.C. Premier John Horgan's government has stated that we need more scientific research to better understand the behaviour of diluted bitumen spills, and that's completely right. In this July 29, 2010 photo, a worker monitors the water in Talmadge Creek in Marshall Township, Mich., near the Kalamazoo River as oil from a ruptured pipeline is vacuumed out the water. After ecosystems are damaged by an oil spill, they can take decades to recover. Some species never will. This was seen with the 1989 Exxon Valdez tanker spill in Alaska. To this day, you can turn over rocks on the beach and see oil. It's estimated the accident killed 250,000 seabirds, 3,100 marine mammals, and billions of salmon and herring eggs. Since the spill, the orca whale population that was impacted has not produced a single calf, and the last members of that pod are dying out. The Southern Resident orcas that live off the coast of B.C. are already endangered, and the Kinder Morgan expansion would put them at increased peril. Crews clean up the oil soaked beach on Naked Island in the Prince William Sound off the coast of Alaska on April 2, 1989 after the Exxon Valdez oil spill. Kinder Morgan has lauded the benefits of the project – in particular, job creation. It says that 37,000 long-term direct, indirect and induced jobs would be created by the expansion. I believe this information is misleading. Direct jobs refer to work at Kinder Morgan. Indirect jobs are those associated with products and services that Kinder Morgan purchases for their operations such as accounting services or construction materials, both of which could be sold to other industries, like the renewable energy sector. 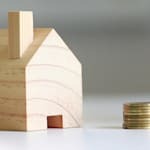 Induced jobs are said to have been created by a project, when someone has an income from that project and they spend it on anything, such as groceries, housing or transportation. This is a way of multiplying the stated benefits of the project. To be fair to Kinder Morgan, the company did not invent this way of assessing socio-economic impacts. This is standard practice. My understanding is that only about 50 new permanent jobs would be created at the Trans Mountain pipeline. Aside from the misleading information from Kinder Morgan, I decided it was worth getting arrested to show my opposition to the NEB's deeply flawed approval process. Instead of being an industry watchdog, as it is meant to be, the NEB essentially rubber stamps these projects, based on the erroneous assumption that Canada cannot have a thriving economy without fossil fuel exports. No amount of opposition from Indigenous people, the Province of B.C., the City of Burnaby or the City of Vancouver was going to prevent the NEB from approving this project. Demonstrators gather outside Kinder Morgan's Burnaby Mountain facility in B.C. Hundreds have been arrested for violating a court injunction ordering protesters to stay at least five metres away from Kinder Morgan's gates. First Nations along the pipeline route did not give free, prior, informed consent, which is a right laid out in the United Nations Declaration on the Rights of Indigenous Peoples. Now they are bravely leading the fight against the expansion. We cannot have reconciliation in Canada if the federal government continues to push through projects on unceded Indigenous territory against the wishes of First Nations. Romilly Cavanaugh, a former engineer for the Trans Mountain pipeline, was arrested at a protest against the project's expansion. The world is in the midst of a climate crisis. At this time, countries should be working together to protect our planet, and yet, Canada is not on course to meet its greenhouse gas targets under the Paris Agreement. Forcing through a carbon polluting pipeline would only worsen matters, taking us farther from our goal. If our federal government will not take a leadership role on climate change, environmental protection and respect for Indigenous rights, then peaceful, concerned and well-informed citizens must show them the way forward.